Crazy Faces Loose Parts Play! Can I tell you how much I love ‘loose parts’ play? I love it, my kids love, we all really, really, love it! Before I’d heard of it’s trendy name, we called it ‘tiny treasures’ play, as my kids always thought the glass gems and other little things were like little treasures! But ‘loose parts’ is a much better name for it, because the things we include in this kind of open-ended, child lead, play are not always tiny! If you are not sure what loose parts play is, pop over and read this post about loose parts play. It tells you all about it, and has loads of ideas for items you can collect to add to this fun opened ended play. 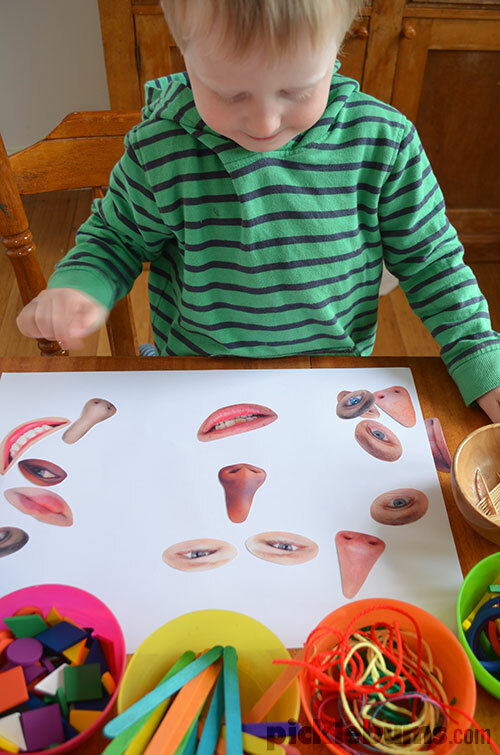 While loose parts play is awesome with whatever treasures you have, we’ve come up with a way to make it even more fun, add some facial features and make some crazy faces! 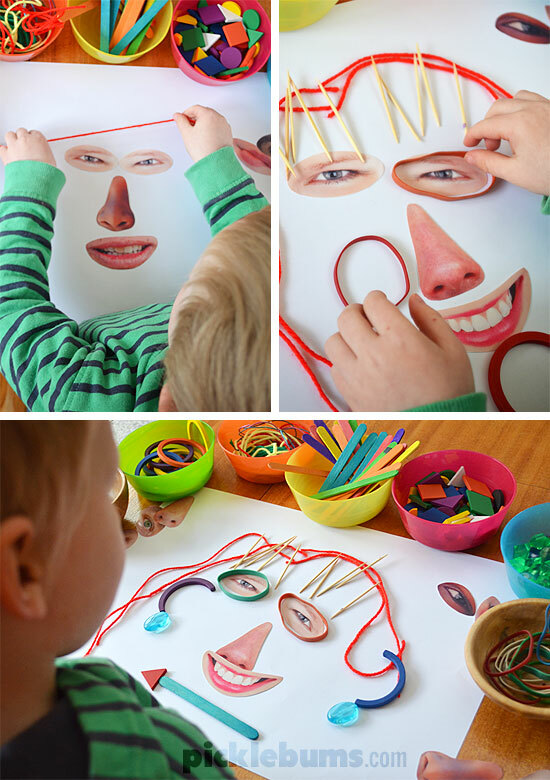 Making crazy faces is such a simple activity to set up, but it really sparked my children’s imaginations, and caused lots of giggles! 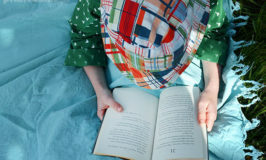 Plus it offers lots of opportunities to learn and practice a variety of skills. We collected some family photos, and some copyright free images from the internet for variety, and digitally ‘cut out’ the facial features. Then I printed them onto photo paper and cut them out. 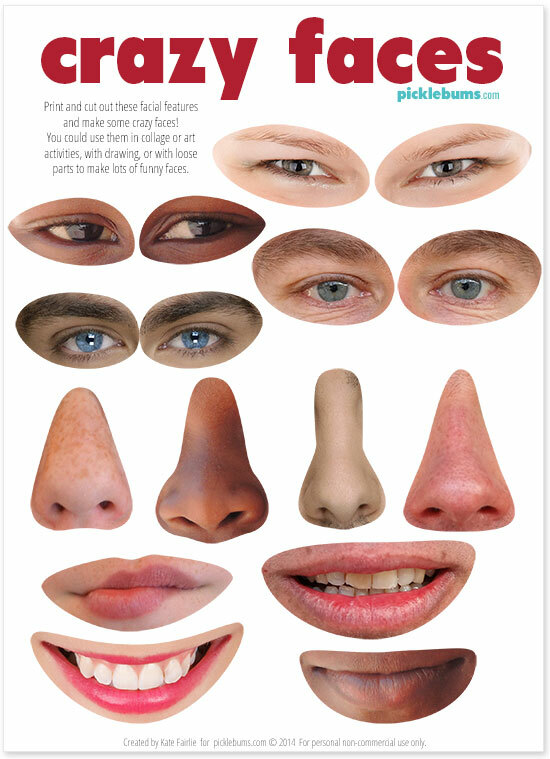 You could collect images from magazines and do the same thing, but I’ve made it a bit easier to get started, check out the end of this post for a free printable set of facial features. We added a bunch of loose parts to our facial features – tooth picks, wooden rings and half rings, string and wool pieces, craft sticks, wooden mosaic shapes, glass nuggets and plastic gems, and some rubber bands. I put a large sheet of paper down to make a clear space for our creations and this activity was ready to go. I love that this person has blue earrings and dangerously spiky eyelashes! We laughed a lot as we created lots of very strange faces together, and while we giggled Noah was also working on lots of fine motor skills that he’ll need for writing. We also named the facial features, and chatted about how we could tell if someone was happy, sad, surprised, or scared. We also discussed the differences in how we look. Some people have blue eyes like Noah and I, some people have brown, some people have a small, nose some have a long nose, but despite our differences we are all the same as we all have eyes, a nose, a mouth, ears etc. As always, the seal of approval for an activity around here is when the big kids come home from school and can’t wait to join in! We spent all afternoon making some really crazy faces! 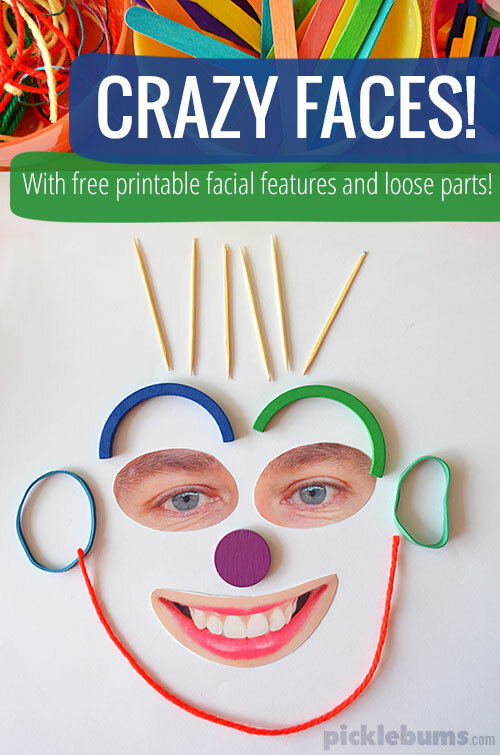 Make your own Crazy Faces with a Free Printable. 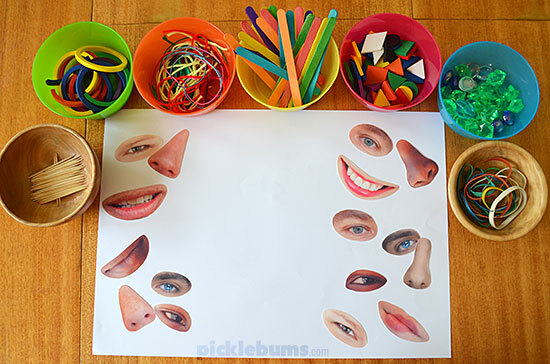 If you’d like a head start on making your own crazy face activity, you can download the facial features we used in this free printable pdf here or click on the image below. Is it just me or do all those dismembered facial features look a little creepy?? Do you love loose parts play as much as we do? What little (or big) treasures do you include in your loose parts play? And what else could you use these facial features for? Thank you so much for sharing these!! I am going to laminate them and put magnets on the back for our magnet play!!! I was wondering where you got the wooden rings and half lungs from please? Thank you so very much!!! I was hunting for just this kind of printable! God bless you! Thank you very much! That is super cool, funny and very smart! 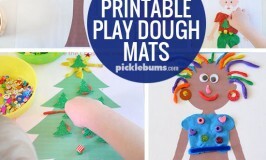 What a cool activity to do with your kids! I won’t be able to stop giggling. Doing more activities like these will encourage kids to use their creativity and it’s super affordable. It’s not just you, they’re definitely creepy! This looks a great amazing activity. My kids will love it. So nice ! thank you. 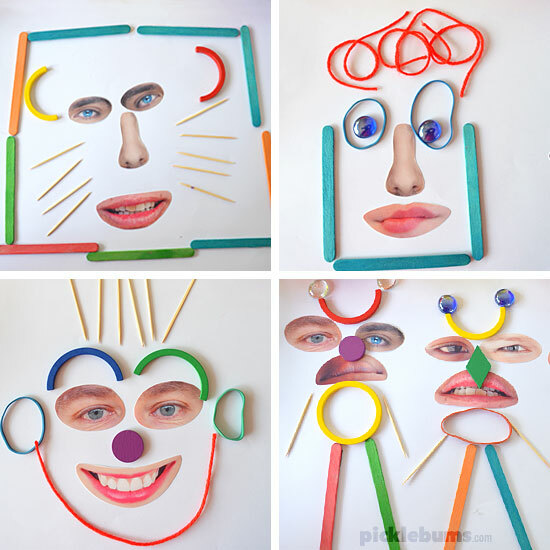 Home » Crazy Faces Loose Parts Play!